Torrey Grey is a popular Youtube vlogger. Thousands of people watch, & love, her videos about makeup & fashion. However, her life takes a sudden turn for the worst after her younger sister is killed in an accident. And her Youtube popularity only makes the situation worse. Strangers are bashing her online & Torrey is having a rough time deciding who to befriend at her new school. 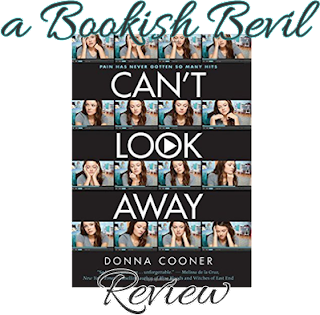 Even though she struggles to regain popularity at her new school, she begins to have conflicting feelings. Does she befriend the not so kind Queen Bee, Blair, & her group of friends? Or does she instead become friends with her unpopular cousin, Raylene, who is annoyingly kind & caring? Then there is Luis. He helps out with the family funeral home business & most people find that unsettling. However, Torrey finds herself drawn to him anyway. One day, while visiting Luis' home, Torrey hears the first of many stories about El dio de los Muertos, Day of the Dead. As the holiday grows closer, Torrey begins to take a closer look at her relationship with her sister, her feelings about her death, & at life itself. Will she be able to sort through things & come to a peaceful existence? Or even more so, will she be able to do it without having the entire world watching? I'm not going to lie, when I started reading this book, I wasn't too fond of Torrey. She seemed to be too concerned with her popularity for my taste. A little ways in though, I started to feel quite sorry for her. She had just suffered the loss of her younger sister & life as she had known it was turned all upside down. She deserved a little patience from me as a reader. Instead of judging her, I stood by & watched as Torrey maneuvered her way through managing her grief. The way the story was written had me completely immersed within the story. I laughed at times. I even got angry a time or two. I was disappointed over some of the choices Torrey. I felt sad for Torrey. I cried. Boy, did I cry. But over all, I smiled. El dio de los Muertos plays a big part in this book. It is through learning about the Day of the Dead that Torrey begins to process her grief. There are of ofrendas (offerings), angelitos (little angels), & sugar skulls. The only thing that I think would have made this book better is if it had illustrations. Mainly because of the Day of the Dead aspect. I just think it would have added a little something extra. Overall, I really enjoyed the story within this book. It's something that could happen to anyone & grief is such a common process. Everyone experiences it at least once in their life, if not more. 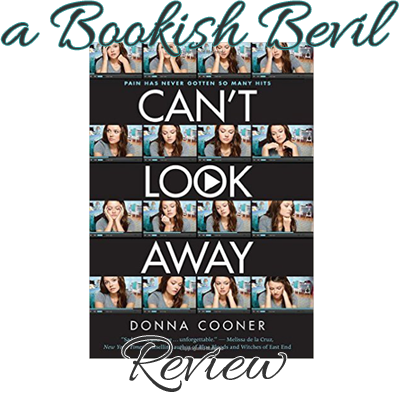 I would recommend Can't Look Away to anyone looking for a realistic tale of adolescent grief, popularity, & life in general. I read this one a while ago and had the same issue you had with Torrey. I really didn't think I would like her and at first I didn't but she did grow on me. The Dio de los Muertos stuff is what really kept me hooked with this one. It was so interesting. Great review! I can honestly say that I am currently obsessed with all things Sugar Skull related due to this book!